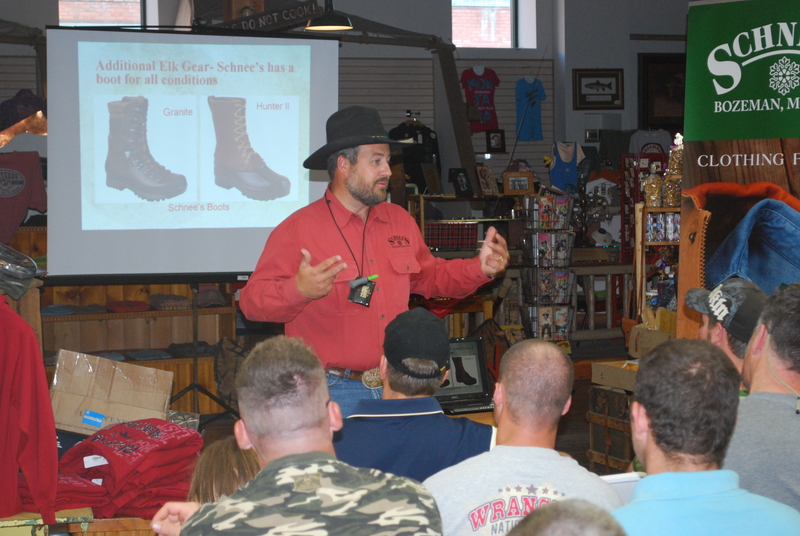 Join us this Saturday, June 19th for a fun-filled day in beautiful historic downtown Bozeman during our Schnee’s Powder Horn Montana Boot Camp event! We are closing down the street to make room for great deals and activities that the whole family can enjoy! 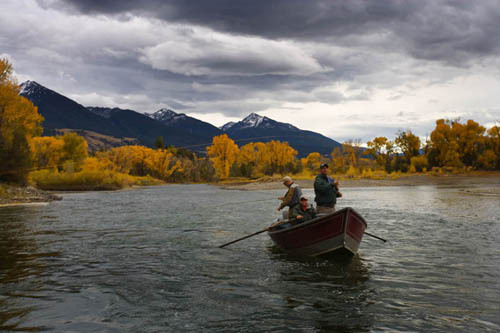 Inside the Powder Horn you will enjoy savings of 15% Off on virtually ANYTHING that you can corral into your Powder Horn shopping bag (excluding guns and ammo) as well as the chance to say “howdy” to well-known Montana western artist Rosemary Peterson! Outside you will find outstanding values and outlet prices on a great assortment of men’s and women’s clothing and footwear in our Tent Sale while the kids enjoy free Wagon Rides courtesy of the Broken Hart Ranch, a kids BB Gun Shooting Gallery and a special appearance by “Roy”, the magnificent Longhorn Steer! 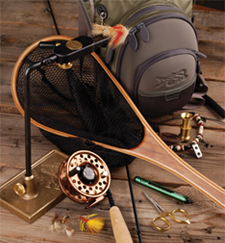 Mom and dad can test their skills on the Roping Dummies or with an assortment of new fly rods and reels available for demo! This great event is one-day only, so round-up the family and head on down to Powder Horn this Saturday from 10am-6pm! We hope to see you there! This week the Schnee’s Powder Horn Crew will be at it again in Reno, NV for the 26th Annual RMEF Elk Camp and Outdoor Expo! If you are in the Reno area March 4-7th, be sure to stop by and show your support for Rocky Mountain Elk Foundation and all that they do to help protect the future of wild elk and their habitat. 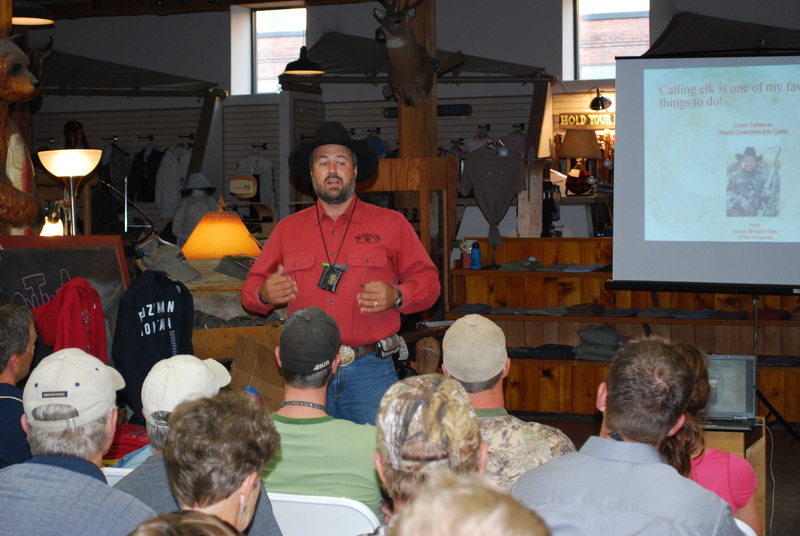 This years event highlights include the 22nd Annual World Elk Calling™ Championships, the World Record Elk Tour and numerous seminars and workshops to help improve your skills in the field. 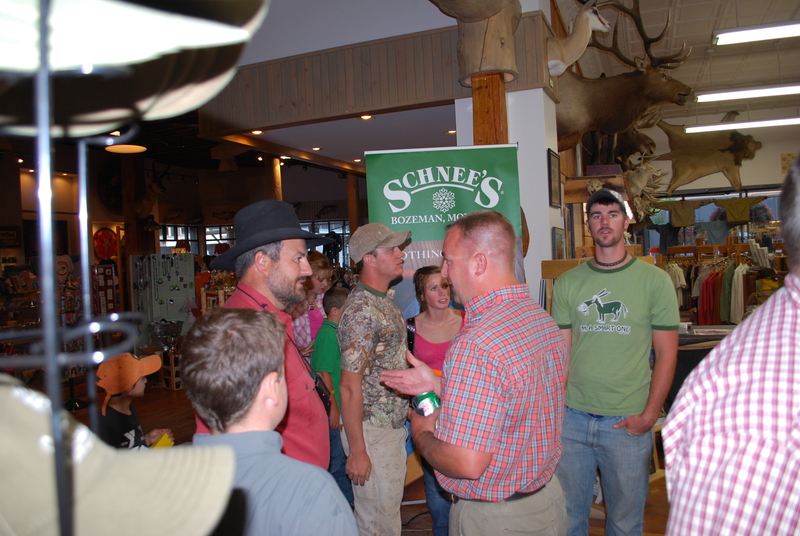 Nearly 400 exhibitors have also registered for the event to bring the latest and greatest in gear, art and hunts. 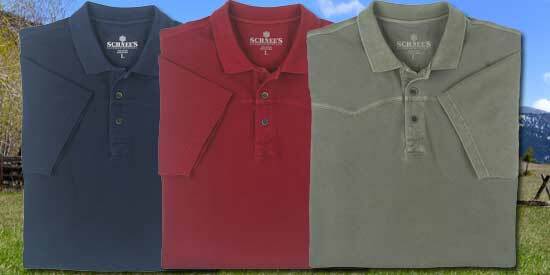 Be sure to stop by the Schnee’s Powder Horn Booth #537 to learn more about some exciting new products that we have on the way as well! 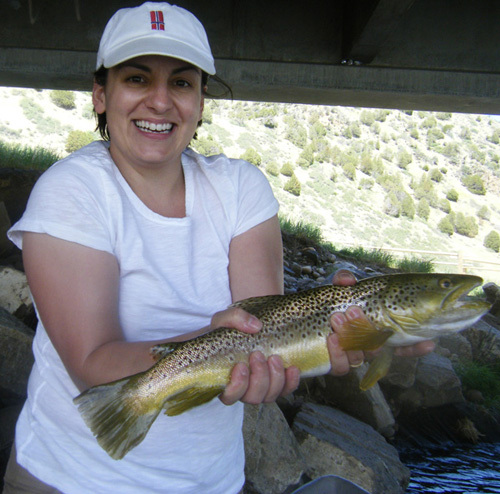 See you at Elk Camp! We’ve added quite a few Lucchese Boots to the Schnee’s website Sale Room, and many more are coming. These are all exceptional quality Lucchese boots that we have reduced in price, most to 1/2 regular price, since we are left with limited sizes. If you want a great pair of Lucchese Boots, this is your chance to find them half-off and tax-free! 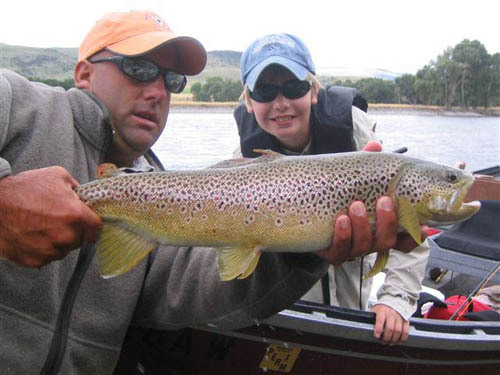 Schnee’s Powder Horn Outfitters offers full-day and half-day guided fishing trips on all the area rivers: Yellowstone, Madison, Gallatin, Big Horn, and Big Hole plus numerous smaller and private waters. 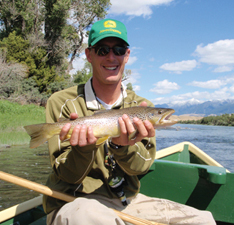 Our outfitter, Jamie Benedickt, has been guiding and oufitting for more than a dozen years and has experience all over the western United States, Alaska, Canada, Mexico, and the Gulf States. We offer full equipment rental if necessary. 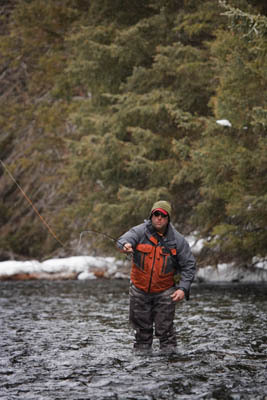 For more information or to schedule your trip, please contact fishing@schnees.com or call Schnee’s Customer Service at 1-888-922-1510. Deposit: 50% deposit is required to schedule a trip. This is fully refundable up to 2 weeks prior to the trip; within 2 weeks there is no refund.